The Alaska State Fair was Aug. 24 – Sept. 4 in Palmer. There were a lot of Alaska Native celebrities on the schedule, including Eskimo Ninja – Nick Hanson, Martin Sensmeier, Miss Alaska USA Alyssa London, Samuel Johns, Irene Bedard, Roxy Wright, Marjorie Tahbone, Marc Brown and The Blues Crew, Pamyua, Alaska Native dance groups, WEIO athletes and more. It was an exciting line-up! 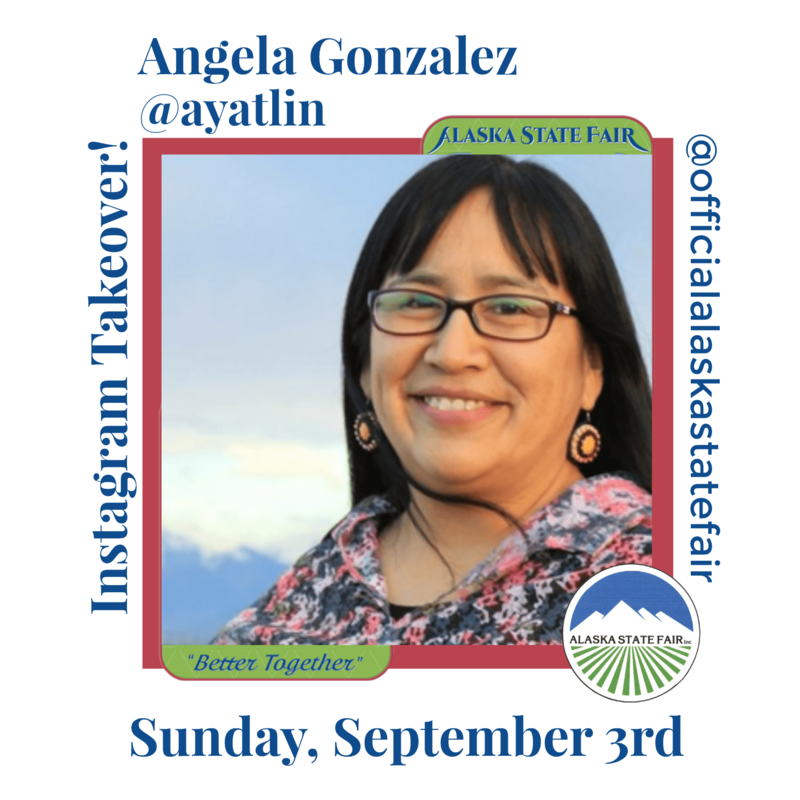 On September 3rd, I took over the Alaska State Fair‘s Instagram account on Alaska Native Cultures Day! It was a paid gig. I was some of the Alaska Native performers and entertainers. I indigenized it by giving a Native voice through my photos and videos. Alaska State Fair on Instagram: @officialalaskastatefair. Check out some of the other people who did takeovers, like Erin Kirkland of AK on the Go and Laura Sampson of Little House Big Alaska. Overall, I enjoyed spending time with my daughter and seeing friends, eating yummy foods, going on a few rides and checking it all out.